Microsoft is developing a version of their Office suite for use on Apple’s iPad that could rival Cupertino’s own productivity apps. Applications like Word, Excel and PowerPoint could sell for as low as $10 each, according to sources that spoke with The Daily. Microsoft already has multiple offerings in Apple’s App Store including Bing, MSN Onit and MSN OnPoint but Office would almost certainly become their highest grossing app to date. It’s no secret that Microsoft is hard at work on developing Windows 8 and tablets to run it, but there’s also no denying that the iPad currently dominates the tablet landscape. With so many iPads in consumer’s hands and even more people using Office, we can only wonder why Microsoft hasn’t released an Office suite for iOS sooner. 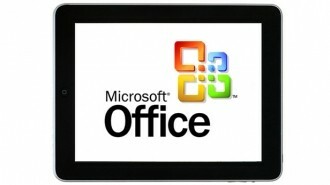 Shortly after the iPad was announced in January 2010, Microsoft senior product manager Mike Tedesco said the company was looking at the possibility of bringing Office to the iPad. Yet just a few months later, Microsoft executive Stephen Elop claimed Redmond had no plans to bring Office to the tablet. In hindsight, both Microsoft and Apple could have benefitted greatly from having the Office suite available at the iPad’s launch. Microsoft would have likely made a boatload of cash and the iPad would have earned more credibility with enterprise users. Instead, Apple developed iPad versions of their iWorks programs to fill the void and we are still waiting on Office from Microsoft.